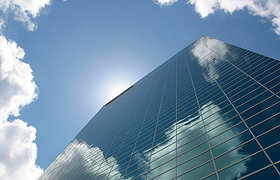 B&B Janitorial Services offers professional commercial window cleaning services in Los Angeles. With a solid foundation in the industry and supported by a lengthy positive reputation, our team of cleaning professionals understand what it takes to leave a streak-free shine on commercial windows. Our services include commercial, post construction, and many other window cleaning services to affordably meet your needs. We understand the importance of providing a great impression to your customers and clients, so we work hard to guarantee your windows are properly cleaned without any unwanted remaining residue, spots, or streaks. We use the best products on the market to produce a quality shine without scratching or damaging the windows. At B&B Janitorial Services, we take pride in delivering high quality and affordable cleaning services to the community, which is why we work hard to ensure every job we are hired to complete exceeds your expectations. We safely and fully complete window cleaning tasks to leave your windows looking better than before. Offering after-hour cleaning services, we'll arrive on location to promptly and effectively clean your windows to maintain the integrity of your commercial building. Although window cleaning can be a time consuming task, we work hard to clean both interior and exterior windows quickly and thoroughly. We have the right equipment, products, and expertise to handle any window cleaning task. Our team of professionals will remove the smudges, streaks, spots, and grime from your commercial building’s windows to leave a bright and shiny appearance. We strive to deliver affordable window cleaning services without compromising the quality of our care. With competitive rates, we’ll get the job done right the first time without interrupting business activity. Our team of dedicated professionals are committed to delivering the highest quality of services to provide unmatched customer satisfaction. We know what you expect from professional window cleaning, and we'll work diligently to provide the best window cleaning in the area. For crystal clear windows, contact B&B Janitorial Services in Los Angeles for all of your professional commercial window cleaning needs.